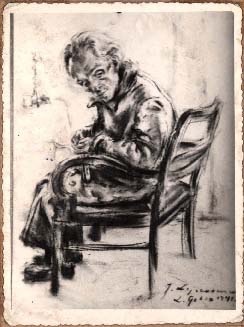 Photograph of a lost self-portrait, signed and dated J. Lejzerowicz, L. Getto, 1941. Yad Vashem Photo Archives 7950/11. Gift of Tobias Rozynès, Lyon, via Gérard Mayer.